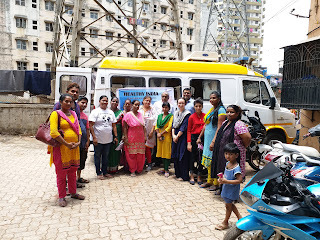 05-June-2018, Mumbai: The Don Bosco Development Society (DBDS), Mumbai organized a free health camp for the residents of Himmat Nagar slum in Antop hill area. 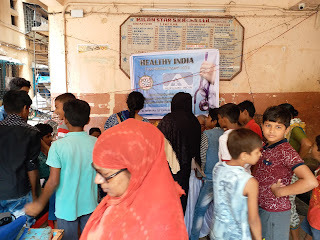 More than 150 patients (women, men and children) were examined by the doctors in this camp which was held under the aegis of project supported by Auxilium India (Seregno – Italy) in memory of late Carlo Arrigoni. 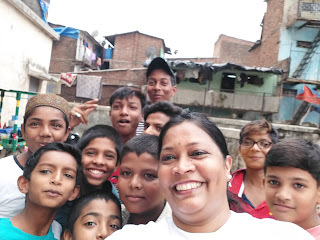 The camp was held in collaboration with doctors and their team from Larsen & Toubro Ltd in Andheri. 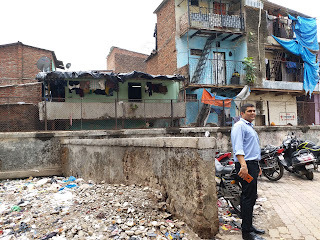 Dr. Dinesh Badani & Dr. Smita Trivedi along with other nurses and entire medical staff examined the patients. 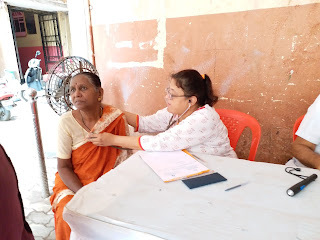 Patients were diagnosed to be suffering from Joint pain, Fungal Infection, Common cold, menstrual irregularities, Calcium deficiency, Gastric Problem, Skin infections etc. 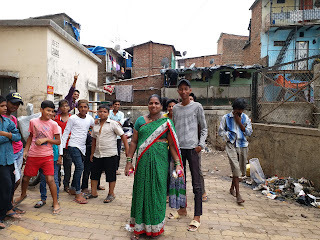 The women and youth volunteers from the slum itself were extremely helpful as they helped in logistical arrangement such as putting up chairs, tables, arranging water, visiting families in slums and informing them about the health camp and managing the crowd. 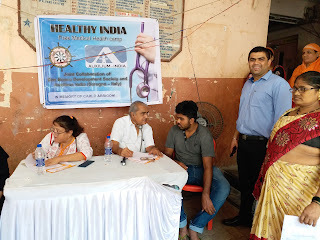 “We are very grateful to Don Bosco for this service – if not for them we would have never received such a great help,” said Mr. Sachin (one of the beneficiary of the health camp). 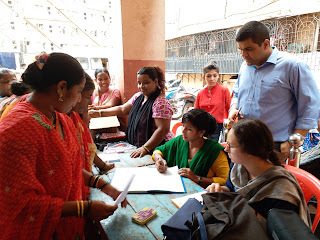 Mrs. Anita Kattimani (DBDS – Staff) along with the DBDS team mobilized people to attend the health camp. She also proposed the vote of thanks at the end.